iPhone X Underwater Photography has been made possible by a new waterproof diving case. Being able to play with your phone around water is freeing, and can even open up the device to being able to take some excellent photos and videos of your deep sea adventures. Check out more info on the iPhone X Waterproof Diving Case below to see how it might make your next dive trip a little bit more special. With a rating for depths up to 40m/130ft, you can dive deep and keep your phone handy for iPhone X underwater photography. Worrying about the integrity of your gear when taking pictures around water — or even just diving with additional equipment — can take some of the fun out of a relaxing or exciting expedition. 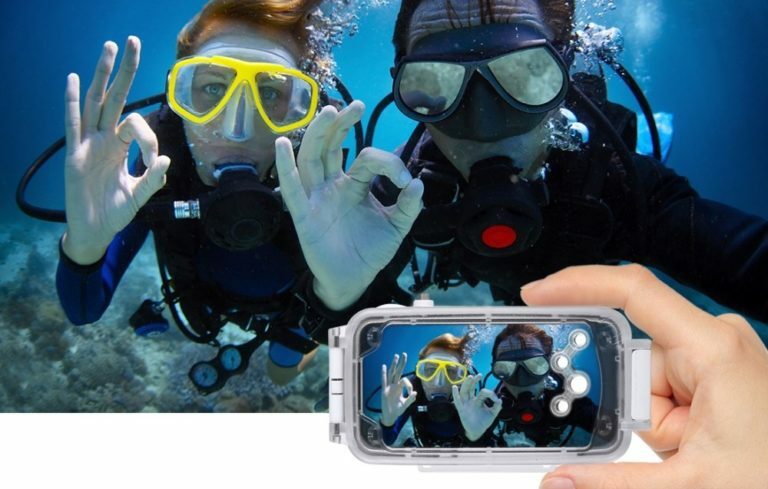 Whether you’re snapping a quick pic while snorkeling or want to experience iPhone X underwater photography over 100 feet below the sea, the waterproof diving case seems to be pretty well equipped to suit your needs. Also worthy of note is that the case functions well in day-to-day use as well. While the support for iPhone X underwater photography is obviously the most attractive part of this case, it also protects your device from any bumps and drops when you’re going about your normal day as well. Having a phone case that can transition from a long day at work to a relaxation underwater is definitely a major pro to the device. The one downside to the purchase is that it’s relatively expensive at around $90, but the protection and waterproofing it offers your device may make it well worth a second look. Currently, there’s a promo code you can use at checkout for $25 off, which should make the purchase a little bit more palatable. Purchase the iPhone X Waterproof Diving case with code iXDEEP10. Included below is an example of some iPhone X underwater photography and videography that should give you a sense of how this nifty iPhone case will work for you.